Dinolift Oy is a Finnish company that manufactures and sells high-quality DINO aerial work platforms. DINO platforms allow you to work above ground safely and effectively, while offering an enjoyable user experience from the ground up. DINO lifts have been sold to more than 40 countries around the world, with exports accounting for 75% of production. 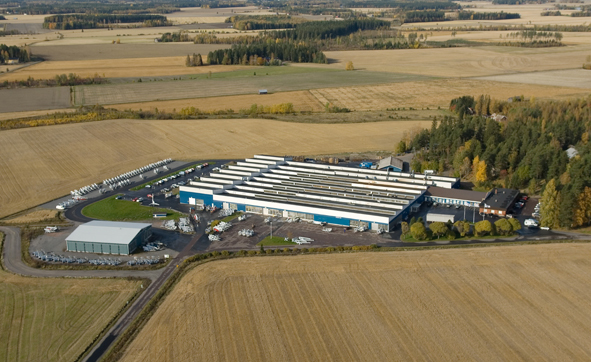 The company’s main markets are in the Nordic countries and in northern Europe. 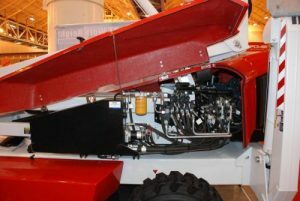 Dinolift Oy is constantly seeking to develop its product range by introducing new lift types and improving existing models in line with customer and market feedback. Recent DINO product launches include the XTC crawler series in 2009, the XTS boom lift in 2011 and the ultra-light 105TL in 2013. Comprehensive stability calculations and loading tests ensure that DINO lifts meet the highest safety standards. The official safety inspection is performed according to industry standards (EN280) and approved by inspection organizations such as TÜV in Germany and VTT in Finland. All DINO lifts are CE-certified. DINO distributors worldwide and the Dinolift factory in Finland provide effective after-sales services and technical support, with emphasis on immediate attention to your inquires. Technical and service training is provided by DINO professionals at our factory or locally at your place of business. Dinolift Oy has been awarded the ISO 9001 and ISO 14001 certificates for quality and environmental management systems.